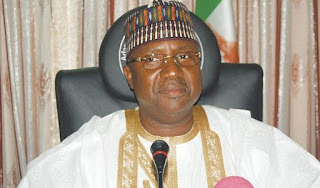 The Chief of Staff to the governor of Adamawa State, Abdurrahman Abba, has said that the state may fall into the hands of the opposition should the federal government and the All Progressives Congress (APC) continue to treat them with disdain. Abba, who spoke during a visit by the APC national delegation led by Senator Abdulkadir Jajere, said the federal government had been treating Adamawa like an opposition state. He said the federal government refused to consult the state on federal appointments, stating that some of the federal appointees from the state were strangers. The governor’s chief of staff called on the Buhari administration to retrace its steps and open its doors to stakeholders at the state level. “We are loyal but tell the national secretariat of APC that there is limit to loyalty and that party business is optional. In fact, you have the right to change even your religion. So, tell the national APC, we are very loyal. But there is limit to that, especially if they are not recognising us since we are the army of the party that are supposed to enjoy the fruits of the party or, out of frustration, we join the opposition,” he said. Abba alleged that the funds for the Millennium Development Goals (MDGs) and the Universal Basic Education Commission (UBEC) projects allocated to the state were diverted by some powerful individuals within the federal system. On the political alliance between former Vice President Atiku Abubakar and Governor Mohammed Umar Jibrilla, Abba said he did not regret a recent statement in which he said the governor and his cabinet would support Abubakar’s presidential bid. Abba, however, blamed the media for misrepresenting his statement at the launching of N4.6 billion Pariya-Malabu road in Girei where he wished Atiku success in his presidential bid. “Everyone knows that Atiku is ambitious. We said we wished him success over his ambition to become president of this country. But the newspapers reported that we said it was either Atiku or nobody. “I was called by the Director SSS that my speech caused alarm because I said I wanted Atiku to become president. I said I would say that a hundred times. If you are arresting people who say they want their own, you will arrest the whole of this country. Katsina for Buhari, Kano for Kwankwaso and Lagos for Tinubu,” Abba said. Governor Jibrilla, however, reiterated his loyalty to the party, assuring the delegation of support while extolling the leadership style of the APC national chairman, Chief John Odigie-Oyegun. The governor did not, however, refute the allegations by his chief of staff. Senator Jajere said he was in Adamawa to consult with the governor over the upcoming zonal congress to fill the six vacant party positions in the North East zone.